B#S publishing house was born as an official tool for developing and deepening the lines of literary research related to the legacies of ancient wars (told in Renaissance poetry), the modern ones (contemporary epic) and the visual art responsible of representing them (exhibition catalogue). Built in three series, the new publishing house aims to propose a high-quality scientific publishing that enhances the product at all stages, from creation to dissemination. In the Renaissance and Baroque treatises the poem was often defined through the image of the palace, a metaphor aimed to emphasize its splendor and complexity: on this pivotal point, with the double aim of lighting up again this abundant heritage and providing a comprehensible version to the contemporary public, Il palazzo di Armida series is born, selecting fine texts of the Fifteenth and Sixteenth Century tradition. Presenting them to today's reader, in full and scientifically edited version, with the support of specific systems (introduction, commentary, synopsis and tables) to facilitate comprehension. The collection embraces both old texts (edited and unpublished poems, works of literary theory) and modern critical essays, working on the double side of the publication of texts and their contemporary reception. 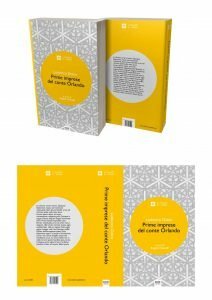 The overall aim of the edition work is to preserve the heritage of the poem in octaves, within an overall project that aims for the recognition of this genre as UNESCO heritage. Thanks to the relevant scientific curatorship, the editorial plan foresees the relaunch in the area of academic critics and school readings, as well as the most demanding objective of the widespread diffusion, in the name of absolute literary significance, vehicle of important social and human messages. "Worthy of memory" but, by their very constitution, the exhibitions and the museum installations are volatile and ephemeral: the series Memorabilia is born in response to this, its purpose is to reintroduce through illustrated volumes the most significant paths within the contemporary artistic landscape. The two dimensions of the printed book lose many of the possibilities of fruition of the concrete work: therefore the goal of the series is to work specifically on the graphic design of the volume to restore part of the richness that is lost and at the same time to offer a new perspective on the artwork that exalts new possibilities of consumption and reception. Captions and scolia complete the offer, giving a critical dimension of absolute importance. Works of high impact on topics and subjects consistent with those of the B#Side War festival (the importance of memory, tolerance, respect for diversity, twentieth-century wars, Renaissance and Baroque culture, contemporary art) shall be preferred. An historic series, Ævum collects international witnesses of conflicts from the twentieth century until the present. Since the First World War, the mother of all the modern wars and of many modern scriptures, the general meditation on the act of war changes, marked by no longer the history of politics but the history of man: Ævum intends to support this turn by proposing to the reader direct witnesses of historical events, in order to draw attention on the phenomena that are little known, because they are crushed inside a twilight zone by historiography and the media. Through high quality scientific curatorship, the series aims to open new realms for historical research by encouraging new approaches and a research into less known phenomena, but also to propose formerly completed panoramic thanks to volumes of nonfiction to the market.